We are planning for a record-setting attendance at our June 8th fundraising breakfast just as we have had record-setting snowfall in April! The 9th Annual Chrysalis Gala Fundraising Breakfast will be upon us in no time! If you have your own Chrysalis art calendar the date is already marked for you but for those without our creative time keeper, make sure you circle Thursday, June 8th and set your alarms for an early wake up! 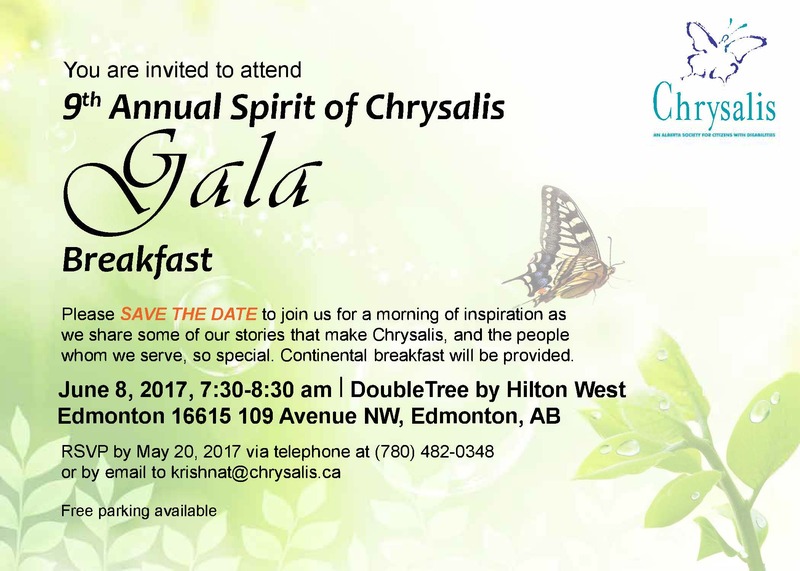 As stated, the 9th Annual Chrysalis Gala Breakfast will be held on Thursday, June 8th from 7:30-8:30 am at the beautiful DoubleTree by Hilton West Edmonton (16615 109 Ave NW). Our signature fundraising event is FREE for everyone to attend, open to all who want to join us and we promise that you will be on your way to work by 8:30 am at the very latest! Do keep in mind this is a fundraiser and all guests will be asked to consider making a contribution to support our cause though no guest should feel obligated to donate should they choose not to. Throughout our almost 50 years our services have been available to individuals with disabilities, we have witnessed the skills, abilities and amazing attributes possessed by those we serve. Through the Gala Breakfast, you have the opportunity to not only support our continued efforts to grow and showcase these characteristics, but to help make a difference in the lives of the hundreds of individuals accessing our service. You can help create positive outcomes which lead to a better quality of life for those whom we serve. Yes, getting up early to ensure you are at the DoubleTree by 7:30 am is not the most appealing start to a work day, but consider the impact you could be making within our community by starting your day with us. And we promise there will be plenty of coffee at each table! Click Here to Download our Save the Date Card. Guests will be treated to an inspiring program filled with stories of hope, determination and tremendous resiliency that will have you feeling very inspired by the end of our hour. For those of you wanting to get to know Chrysalis better, this event serves as a wonderful introduction to what we do. 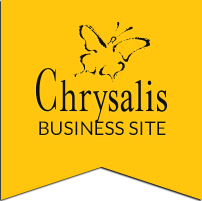 For those of you who have attended this event in the past, we encourage you to join us once more so that you can hear of new successes and see how Chrysalis continues to grow and adapt to best serve our individuals. If you are interested in attending the 9th Annual Gala Breakfast, please RSVP by May 29, 2017 by contacting Krishna Tailor via [email protected] or by at phone 780.482.0348. Once more, this event is open to everyone to attend so feel free to share this information or to bring a guest or two with you. If you cannot attend, but would still like to make a difference, please consider clicking on the “Donate” option on our website.